Bailetti, A.J, Gad, Mahmoud, & Shah, Ahmed. (2016). 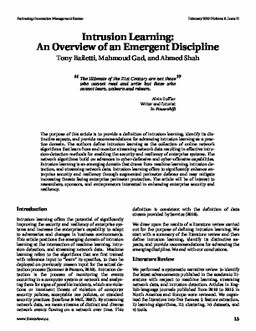 Intrusion learning: An overview of an emergent discipline. Technology Innovation Management Review, 6(2), 15–20.